Has information on all the characters, images, and a guide to both the anime and manga. Discussion continuum hosted by Animation Artist Magazine: Anime, Films, 3D, Video Games, 'How To' as well as a general animation forum. General anime and manga discussion with a section for non-Japanese animation. Covers the full spectrum of the animation world including commercial, independent, anime, CG, and stop-motion. Thought-provoking commentary, insightful reviews, and upcoming releases. A freeware digital pencil test animation program for Windows. It also has additional features that can be used for stop motion animation, clay animation, cut-out animation and the creation of traditional puppet films. Book authored by veteran animator and animation historian offering history of animation and detailed how-to guide for creating animation productions, including story writing. Resource for Japanese animation on DVD with news and reviews. Some original artworks for the animation. Japanese science fiction animation video. A place to talk about classical animation, 3D animation, stop motion, life drawing, layout and storyboarding in terms of problems, critique or suggestions. Featuring animation cell scans and captures from many popular series. Information about characters, an animation gallery and movie clips and anime summaries. Develop skills in preproduction, story telling, character animation, animation programming, technical direction and render management working alongside experienced industry artists. article about his anime music, focusing on hayao miyazaki films, from animation world magazine. Annual Japanese animation convention, includes registration information, location details, guests, events, and schedule. Large production and distribution company dealing with many well known anime titles such as Sailor Moon, Fushigi Yuugi and Serial Experiments Lain. For Windows PCs, a mid-priced frame capturing program for professional level stop motion animation, clay animation, pixillation, and cut out animation techniques. For any and all sites with information on the robots of Japanese animation. Member list and links, joining instructions, and ring statistics. Featuring Cvys cosplay manga, anime, rock music (silverchair to The Distillers), design portfolio (3D animation), cats and photography. Specializes in Japanese animation toys, action figures, illustration and drawing books from the US and Japan and how to draw manga and anime books. Internet radio program with news, reviews, and discussion of issues regarding Japanese animation, comics, music, and video games. If the business hours of The Saint Seiya Shrine in may vary on holidays like Valentine’s Day, Washington’s Birthday, St. Patrick’s Day, Easter, Easter eve and Mother’s day. We display standard opening hours and price ranges in our profile site. 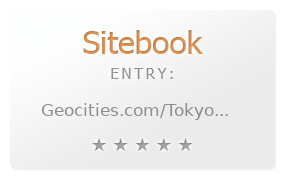 We recommend to check out geocities.com/Tokyo/Temple/1035/ssindex2.html for further information. You can also search for Alternatives for geocities.com/Tokyo/Temple/1035/ssindex2.html on our Review Site Sitebook.org All trademarks are the property of their respective owners. If we should delete this entry, please send us a short E-Mail.